In my previous post, I wrote about reasons Why Canada is a Great Place to Study English. 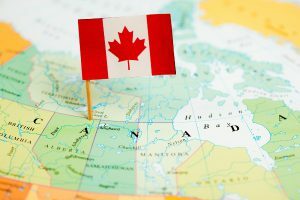 Now that you’ve been convinced that Canada is the right country for you to do your English exchange, here is some basic knowledge that will help you adjust to Canadian English and impress your new Canadian friends and connect to the culture. This is a guest post by star Canadian teacher, Santino Filoso. Santino lives and teaches English in Belo Horizonte, Brazil, and has a really useful and dynamic facebook page dedicated to learning and teaching English through visual vocabulary, online ESL games, interesting ESL articles and songs. It’s updated daily and we encourage everyone to have a look and LIKE it! While similar to both American and British English, Canadian English is unique and slightly different. One way to describe it would be a kind of a mixture between American idioms, British spelling and Canadian pronunciation. Despite being such a large country with people in all different regions, if you travel from the East Coast to the West, even if you notice some small differences in pronouncing certain words, with the exception of people from Quebec (a French province), you probably won’t find a significant pronunciation difference. When it comes to spelling, Canadians have the option of spelling words either as Americans would, or as the British would. For us both are correct, but you need to remember to be consistent. If you’re writing a paper for school and you start off spelling words the British way, you need to make sure that all your words are spelled in the British manner. To give you a better idea of just how similar the spellings can be, here are a few examples with the American spelling coming first: center/centre, practice/practise, analyze/analyse, color/colour. flavor/flavour. Now that we’ve looked at some technical aspects of Canadian English, it’s time to dive into terms, phrases and words that you’ll only find in the “Great White North”. 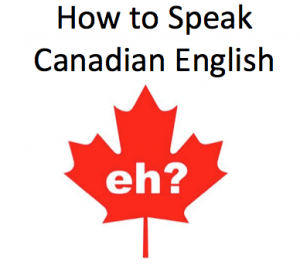 EH: a uniquely Canadian term used after a statement or question that can mean: right? okay? please, maybe, thank you, how about it?, don’t you? Thanks once again for reading this article and you can now consider yourself armed and ready to tackle Canada, in fact, you probably now know more about it than many Canadians! Take care! Santino Filoso (left) lives and teaches English in Belo Horizonte, Brazil. Please go to his page and give it a LIKE for daily tips and visual vocabulary that will make a big a big difference in your English learning! If you haven’t already, we encourage you to download a free copy of our popular e-book 101 English Words You’ll Never Learn in School. Cool article Santino Filoso. It made me in the mood for a two-six and a box of smarties! Thanks for your comment, Mariana! Looking forward to seeing you at the RLE party! What a cool article, Santino! For Canada being the closest English speaking country to the U.S., I sure don’t know much about it! I’m eager to visit now! I really liked it! I'm Latin but now i want to speak as a canadian haha!